Wall Street Journal readers were stunned to see a recently defeated GOP congressman accuse John McCain of costing Republicans the House in an op-ed on Sunday. 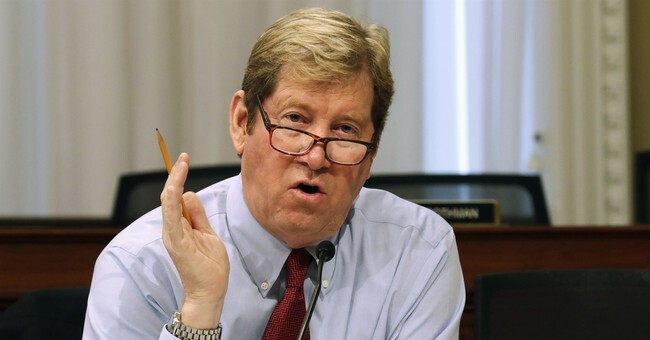 Rep. Jason Lewis (R-MN), who lost to Democrat Angie Craig in his re-election bid in Minnesota's second district, says McCain really ruined it for all Republicans by voting against the skinny repeal of Obamacare in 2017. Yes, it's true McCain became infamous in conservative circles for voting against and derailing the skinny repeal of Obamacare, but he can hardly be blamed for all those GOP losses in the midterms. According to election analysts, Democrats just started using health care as a "political weapon." More than half of Democratic campaign ads in 2018 mentioned health care. In a POLITICO/Morning Consult survey, 48 percent of those surveyed said they trusted Democrats on health care, as opposed to only 35 percent for Republicans. Lewis's critics shared their "disgust" in Lewis's choice to blame McCain for all of it. Did he forget that two other Republicans - Sens. Lisa Murkowski (AL) and Susan Collins (ME) - also voted "no"? Others say the op-ed was especially jarring because of the unfortunate timing. It was published on Veterans Day Sunday. Shame on you @RepJasonLewis — I cannot believe I am just reading this. Shame on @WSJ too for running it. Who picks on a deceased war hero on #veteransday ! ?